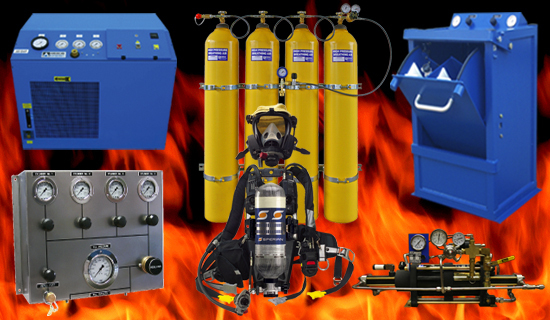 Delta Oxygen Solutions by Delta Technology Inc.
Commercial/Industrial Oxygen Equipment for EMS, Fire, SCUBA and Industrial applications. Portable Emergency Oxygen Systems for EMS, Fire, Medical or Dental offices or the workplace. 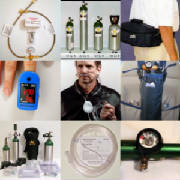 Home and Travel Medical Oxygen Equipment Portable and home oxygen equipment and accessories. 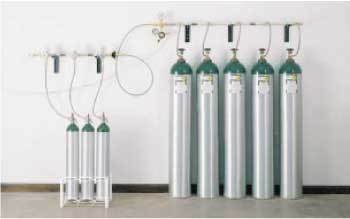 For filling 1 to 6 portable oxygen cylinders from a bank of 3 to 10 supply tanks. We will work to assure that you have the system that best meets your company's needs. 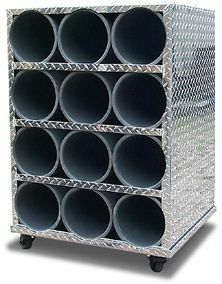 We will build any custom system to your specifications. 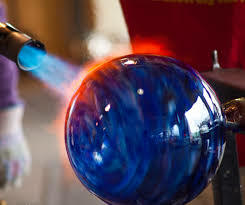 Call us to request a free Quote for any of our equipment. Transfill 1 to 6 Breathable Air/SCBA cylinders at a time from a bank of 2 to 10 supply tanks. Systems are provided with or without cylinders. Custom systems available and we are happy to provide a free quote upon request. Safely store SCBA cylinders in racks for up to 24 cylinders. 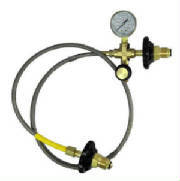 High pressure hose assemblies for oxygen, breathable air and all commercial gasses. PTFE 3000 PSI braided stainless steel hose assemblies. Armor Guard 4250 PSI braided stainless steel hose assemblies. 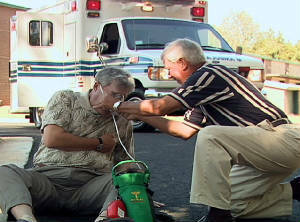 CPR Systems include Emergency Oxygen System Training DVD. Meets all requirements for emergency oxygen systems. May help to lower insurance premiums for your practice. 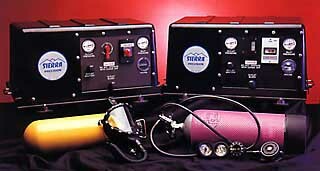 Systems include Emergency Oxygen Training Program with DVD. Oxygen concentrators from all major manufacturers. 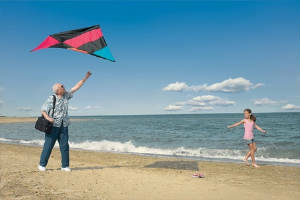 Travel systems for all types of travel - FAA approved. New and pre-owned equipment at great prices. 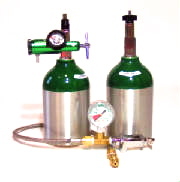 Homefill and standard oxygen cylinders. Transfill Adapters for filling standard cylinders. Oil-free high pressure breathing air compressors for fire fighting, scuba diving, oil patch breathing air, Homeland Security teams, hazmat response teams, industrial or laboratory breathing air users, commercial diving, paintball cylinder refilling. Sierra boosters compress breathing air to 5000 from 1500 PSI or boost air to 2216 from 800 PSI. Adapters for filling standard cylinders.